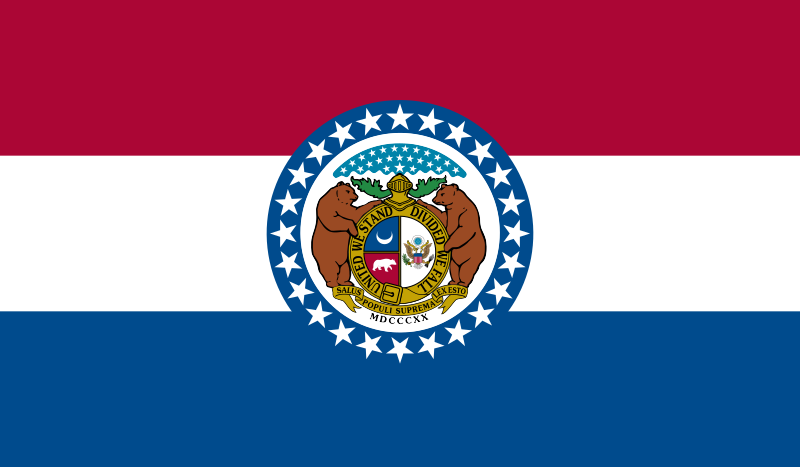 Missouri (i/mɨˈzʊəri/) (nickname The Show Me State) is a U.S. state located in the Midwestern United States, bordered by Iowa, Illinois, Kentucky, Tennessee, Arkansas, Oklahoma, Kansas and Nebraska. Missouri is the 21st most extensive and the 18th most populous of the 50 United States. Missouri comprises 114 counties and the independent city of St. Louis. The four largest urban areas are St. Louis, Kansas City, Springfield, and Columbia. Missouri's capital is Jefferson City. 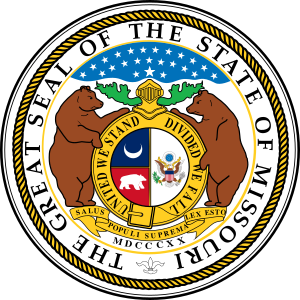 The land that is now Missouri was acquired from France as part of the Louisiana Purchase and became known as the Missouri Territory. Part of the Territory was admitted into the union as the 24th state on August 10, 1821. Missouri generally mirrors the demographic, economic and political makeup of America and has long been considered a political bellwether state. With the exceptions of the Presidential elections of 1956 and 2008, Missouri's results have accurately predicted the next President of the United States in every election since 1904. It has both Midwestern and Southern cultural influences, reflecting its history as a border state. It is also a transition between the Eastern and Western United States, as St. Louis is often called the "western-most Eastern city" and Kansas City the "eastern-most Western city". Missouri's geography is highly varied. The northern part of the state lies in dissected till plains while the southern part lies in the Ozark Mountains (a dissected plateau), with the Missouri River dividing the two. The state lies at the intersection of the three greatest rivers of North America, with the confluence of the Mississippi and Missouri Rivers near St. Louis, and the confluence of the Ohio River with the Mississippi north of the Bootheel. The starting points of the Pony Express Trail and Oregon Trail were both in Missouri. The mean center of United States population as of the 2010 Census is at the town of Plato in Texas County, Missouri.